Harmening Oil & Trucking gets new name and owner! New Addition & Remodel for Sewing Seeds Quilt Co.
Congratulations Archery Trade Association on your new location! 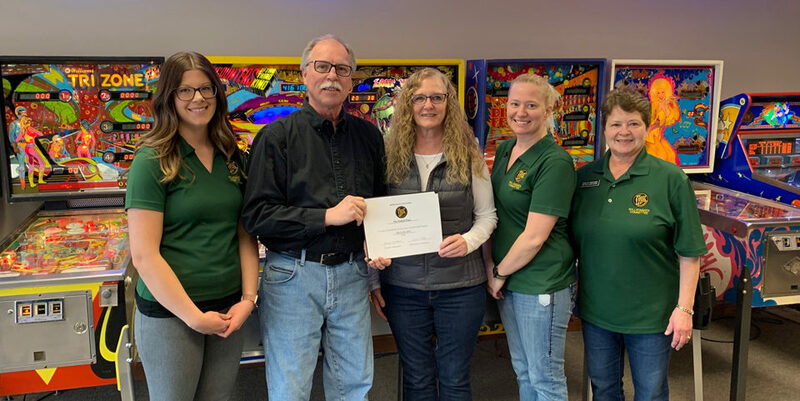 The Willkommen Committee of the New Ulm Area Chamber of Commerce congratulated and welcomed Leon Luepke as the new owner of Luepke Oil & Trucking, formerly Harmening Oil & Trucking, located at 1400 South Front Street. Leon started driving for Harmening Oil & Trucking back in 2005. Steve & Lynn Harmening have been looking to get out of the business and Leon saw it as an opportunity. He has been the sole driver for the small gas station, delivering bulk oil and fuel to area gas stations and farms within a 40-mile radius in Brown and Nicollet counties. The gas station is open to the public and has easy access for big trucks. There’s free coffee, as well as pop and candy available for purchase inside. Their hours will continue to be Monday-Friday 7:30 a.m. – 5 p.m. Congratulations, Leon! 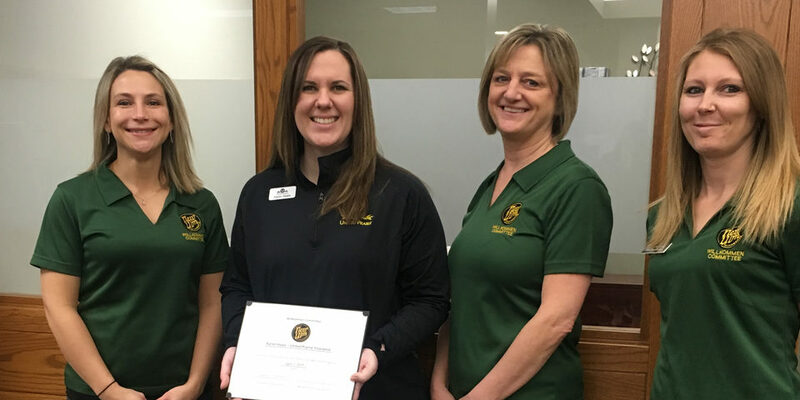 In the photo are: Tami Leuthold, River Valley Woman; Leon Luepke, Luepke Oil & Trucking; and Amy Pearson, Thrivent Financial.